GE’s distribution feeder protection systems provide advanced protection with flexibility, programmability and communications for maximum system reliability. Our highly skilled engineers and technicians understand distribution feeder principles and the sources of faults on overhead and underground distribution feeders. They apply their knowledge to the design and manufacture of some of the most advanced protection relays and systems in the world. Major faults occurring in the distribution system such as arc flash, incipient cable splice fault, high impedance fault and others, must be sensed quickly and isolated immediately to prevent hazards to the general public and personnel. Learn how GE’s 8 Series, 350 and P40 Agile solutions provide early fault detection and warning in this spotlight application. 850 Feeder Protection System The Multilin 850 relay, a member of the 8 Series family, is designed for high performance protection, control and monitoring of feeders in utilities and industries. With comprehensive, advanced feeder protection functions, the 850 supports both industrial and distribution utility feeders. Dual feeders (850D) and multi feeder (850P) in electrical applications are also supported. F650 Feeder Protection System High end features in an economical package. 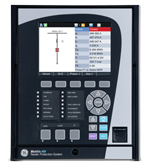 The F650, a member of the 650 Family of protection relays, is high performance digital device that incorporates protection, control, and metering in a economical package. Use the F650 to protect HV/MV feeders, bus couplers, transformers and capacitor banks. The F650 is the first feeder relay with remote I/O capabilities via the CIO module. MiCOM Agile P14N, P14D & P94V Feeder Protection The P14N non-directional feeder, P14D directional feeder, and P94V voltage and frequency IEDs are ideal for protection, control and monitoring of overhead lines, underground cables, busbars, breakers, transformers, reactors, distributed generation and motors. The IEDs are suitable for application in-solidly earthed, resistance-earthed, and Petersen coil systems alike. 350 Feeder Protection System Innovative feeder protection in one integrated, economical and compact package. Protection functions include over current and directional elements, auto reclose and breaker failure, as well as integrated arc flash protection. This 3 Series relay is available with multiple options including draw out or non draw out, and with or without chassis for spare parts, replacements or testing purposes. F60 Feeder Protection System Feeder protection, control, monitoring and metering in one integrated package. The F60, a member of the UR Family of protection relays, provides high performance feeder protection, control, monitoring and metering in an integrated, economical, and compact package. 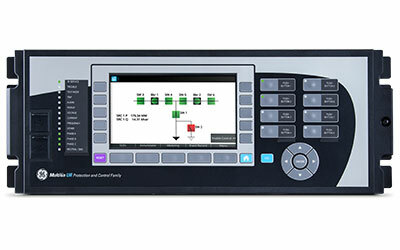 The F60 includes GE Multilin's unique high impedance fault detection for fast and reliable detection of faults caused by downed conductors. MiCOM Agile P14x Feeder Protection The MiCOM Agile P14x feeder protection relays provide an integrated solution for the complete protection, control and monitoring of overhead lines and underground cables, covering all distribution and transmission voltage levels. Providing the essential information to efficiently maintain complex power systems and their components, the MiCOM Agile P14x relay family is user-friendly and highly flexible, allowing application on any network. P50 Agile P153 Compact Feeder Protection The P153 offers non directional overcurrent and earth fault protection, with functions designed to cover a wide range of applications in the protection of cables and overhead lines deployed in industrial installations, public distribution networks, and substations. 850D & 850P Multiple Feeder Protection Systems The Multilin 850D & 850P relays, members of the 8 Series family, have been designed for the management, protection and control of multi feeder applications supporting both traditional voltage inputs as well as Low Energy Analog (LEA) inputs. F35 Multiple Feeder Protection System Protection, control, monitoring and metering for multiple feeder applications. The F35, a member of the UR Family of protection relays, is the only feeder product on the market that provides feeder protection and power metering for up to five feeders with busbar voltage measurement, or six feeders without busbar voltage in one integrated package. Use the F35 as a stand-alone device or as a component of an automated substation control system. P50 Agile P154 Feeder Protection The Agile P154 relay provides non directional overcurrent and earth fault for MV/LV and HV backup feeder protection. The relay features a wide range of measurement, protection and monitoring functions and is easily customizable using programmable BI/BO/LEDs/AND logic. 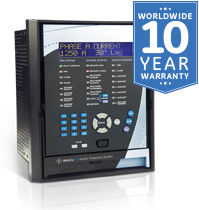 The P154 is economical, designed for deployment in volume in lower voltage systems, as a backup relay in HV systems, or as direct refurbishment of non-communicating overcurrent relays. P50 Agile P15D Feeder ProtectionThe P15D is a dual-powered non-directional overcurrent and earth fault relay. It provides protection for applications where no external auxiliary power is available or the auxiliary supply does not guarantee the dependability required for protection applications. The relay is designed for MV/LV industrial installations, distribution network substations and more specifically in RMU networks for protection and monitoring purposes. 750/760 Feeder Protection SystemThis product is under last-time buy. Orders may be placed until 31st December 2019, and will be fulfilled based upon availability. As an alternative, please refer to the 850 and P14D Agile relays. Complete, economical protection and monitoring of industrial and utility feeders. The 750/760 Feeder Protection System, a member of the SR Family of protection relays, is a draw out digital relay intended for the management and primary protection of distribution feeders. 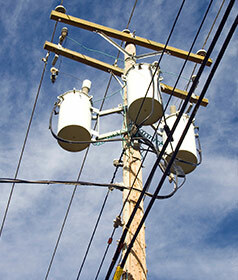 It can also be used for management and backup protection of busses, transformers, and power lines. Not finding the feeder product that you’re looking for? View legacy feeder protection products.